Life is cool. Hope I get my broadband connection soon! I just meant to show you a little work of mine. This one i made to kill time when i was terribly bored yesterday night. Fine, this looked nice on my desktop, anyways! I named it red mind. 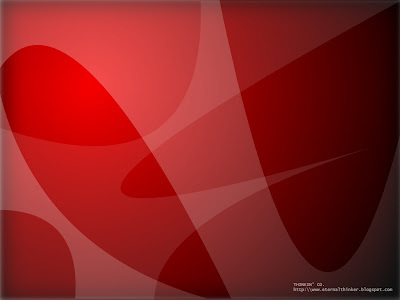 recently this idea of a red, bright desktop was in my mind. Just a rough idea is displayed below.